Distinction Palmerston North Hotel & Conference Centre is housed in a charming historic building, just 200 metres from the city centre of Palmerston North. It features an on-site restaurant and bar, and free unlimited WiFi access. Located just a 2-minute walk from the City Centre, Copthorne Hotel Palmerston North offers free on-site parking and free golf passes. 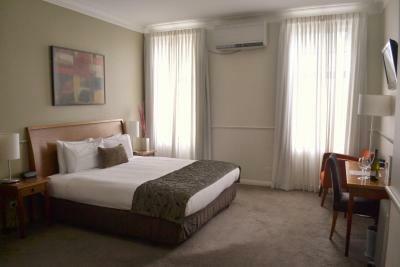 Hotel Coachman is located in the heart of Palmerston North. 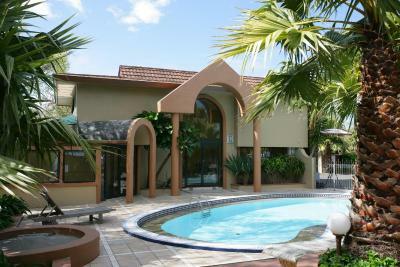 It offers a large outdoor swimming pool, 2 hot tubs, plus a fitness centre and sauna. Free Wi-Fi is included. All rooms at The Coachman Hotel feature satellite TV and ironing facilities. The Cobb Hotel is located in the city center, within 10 minutes’ walk of local shops and sporting venues. 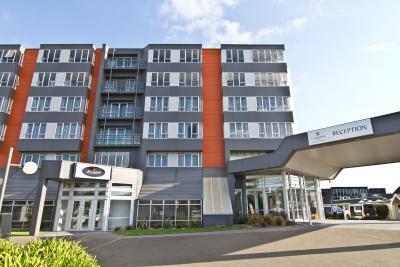 It is just 10 minutes’ drive from Palmerston North Airport. Accommodation options include studio, premium, and family rooms.